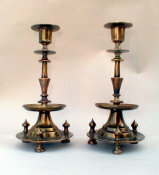 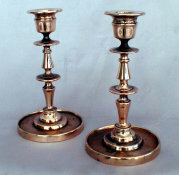 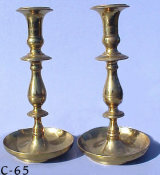 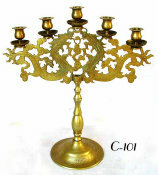 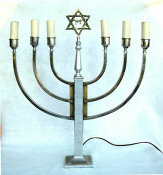 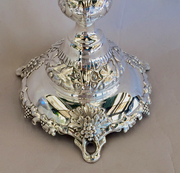 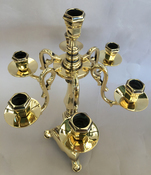 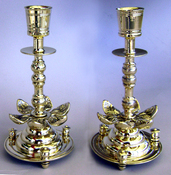 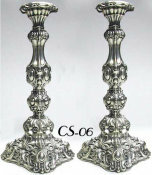 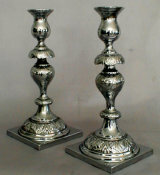 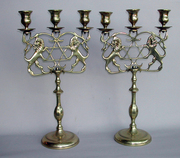 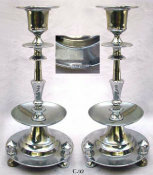 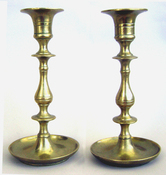 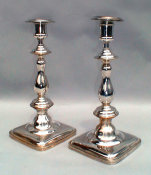 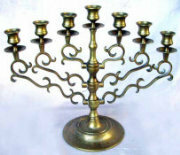 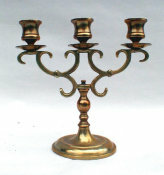 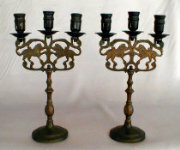 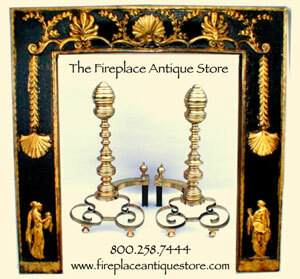 Eagle: HT: 12" Two Light brass Sabbath Candelabrum with Lions of Judea supporting candle cups and American Eagle. 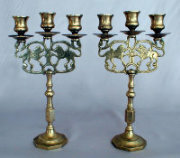 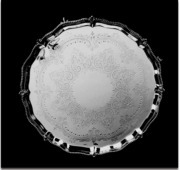 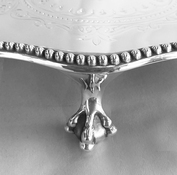 Made by the Jewish Immigrant Metalsmiths on York's Lower East Side, c.1900. 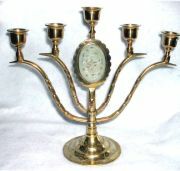 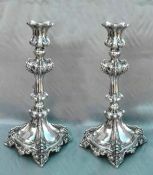 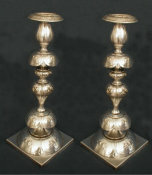 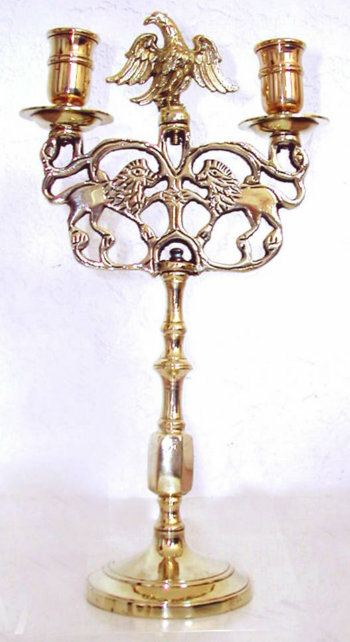 Many Sabbath candelabra made in Poland in the 18th & 19th Centuries were decorated with the Polish Eagle. 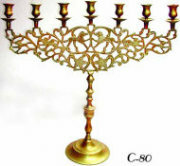 The Immigrants changed the design and decorated their candelabrum with an American Eagle to symbolize their freedom.